Well to be fair, World of Tanks still have a lot of tanks that WG didn't implement into the game yet. Oh, and I think this might be the first High-Tier British LT. 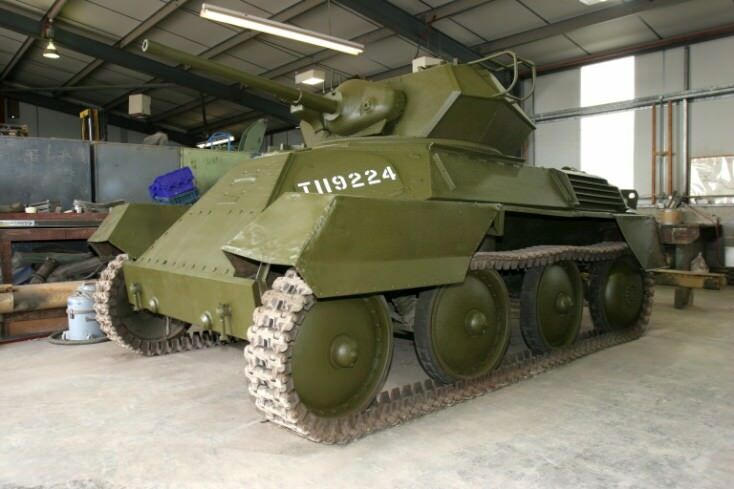 This is the British A46 Light Tank Prototype, well it looks like Tetrarch but it isn't. It has an improved 77mm High-Velocity Cannon from Comet (Longer barrel), the gun elevation and depression is +20/-12. and...a 1000+hp Supercharged Rolls-Royce Merlin V12 engine that used on Spitfire and Hurricane Fighter aircrafts. The top speed is rather disappointing though, only 46km/h, but the protection is rather good for LT. 76/50/25 for the hull and 75/50/40 for the turret. Let me know what you think about the others, and be sure to share other tanks project if you would like to. "Do you know what an artist and a sniper have in common? Details. Like when a touch of color is out of place. When a shadow does not match with its surroundings. Or when a shape is not where it is supposed to be. The only difference is the stakes. Mine are higher." - Glaz. WOT Asia / Australasia Language Based Communities → English Speaking Community → Fan Zone! → Replays → Daily Replay of best games by average players. WOT Asia / Australasia Language Based Communities → English Speaking Community → New Players Zone → New replay channel for wot enjoy!